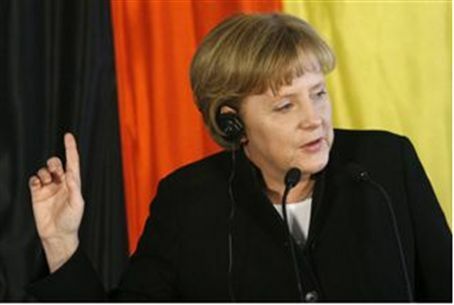 German chancellor Angela Merkel told her party that Germany risked becoming a “laughing stock” over a court ruling criminalizing religious circumcision, according to a report in the newspaper Bild. In an item quoted by AFP as it was about to be published Tuesday, the mass-circulation daily reported that Merkel warned the board of her conservative Christian Democratic Union (CDU) that Germany must restore legal protection for circumcision. Bild cited several CDU members who attended the meeting as its sources. Halakhic ircumcision – in Hebrew, brit mila or bris – is carried out eight days after a male infant is born, if he is healthy and of a suitable weight, and is the second commandment in the Torah, first told to the Patriarch Abraham. The German government on Friday pledged quick action to protect the right of Jews and Muslims to circumcise baby boys on religious grounds, AFP reported. A controversial ruling by a court in Cologne has sparked international outcry. The court ruled that non-medical circumcision, practiced by most Jews and Muslims, constitutes “serious and irreversible interference in the integrity of the human body."